As a “global design company committed to creating positive impact,” IDEO is the name associated most closely with the concept of “design thinking.” Among the company’s many notable accomplishments, they’re the minds behind the first manufacturable mouse for Apple based on human-centered design. While IDEO’s success is based on generating ideas, in what might seem a counter-intuitive move, they developed 7 rules for brainstorming. This was actually a problem-solving technique of its own to prevent people from judging ideas before they even make it to the table. From a leadership standpoint, this collaborative approach allows for the most ideas to be considered, as well as encourages all team members to feel respected. By creatively demonstrating their goals, IDEO was able to prevent brainstorming barriers in their own workplace to arrive at the best solution. 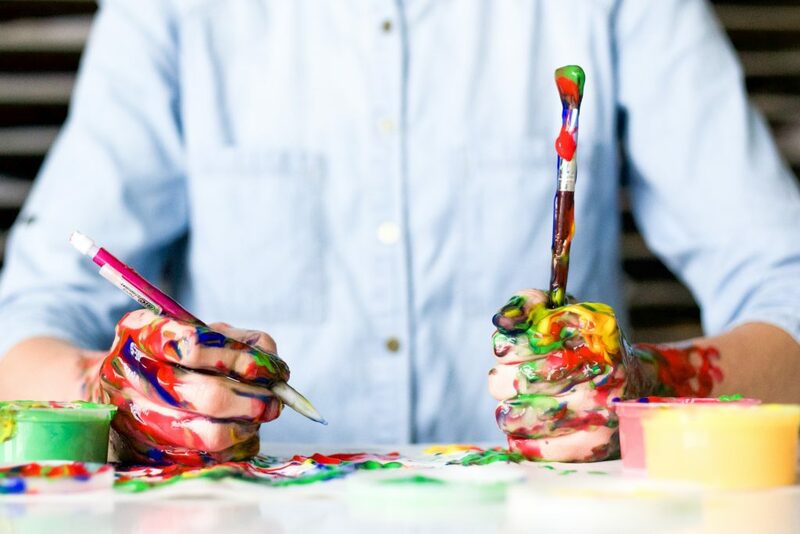 When we say “creativity,” many people immediately jump to thoughts about art or artists. As IDEO shows, creativity is defined as adapting traditional or devising new approaches, concepts, methods, models, designs, processes, technologies and/or systems—analyzing, testing, simplifying to solve problems. This thinking requires the use of both our left and right brain—analytical and creative—to make breakthroughs happen. You’ll hear some of the most forward-thinking companies hiring leaders from outside the company to spark new ideas. Their thinking is that bringing together different perspectives allows us to integrate ideas for more efficient solutions. Expanding our network contributes to our ability to solve problems by seeing them from different perspectives and getting a variety of feedback, as well as break away from safe and known ideas to get creative solutions. Creative thinkers can be some of the most valuable on your team, especially as technology ramps up customer demands and the pace of product cycles picks up. It’s these creative minds who have changed the way we do business and altered industries forever. In the past decade, consider how we’ve seen brick-and-mortar shops shift with Amazon’s brilliant logistical solutions; Facebook offering a high-tech way of building community; Uber/Lyft solving transportation challenges through an app on our phone; cell phones being adapted into to mini-computers; and, drones doing the dangerous work on job sites. These are just a few of the examples of how creativity has improved our lives! Also impacted by technology is the workforce—with a prediction that 40% of current jobs will be replaced by technology within 15 years! As we quickly move in this direction, we need to be creative about how we get ready for this accelerated change in technology, service and jobs! As leaders, it’s important to embrace the advancement of technology while being socially responsible and considering the potential unintended negative consequences as a result. By anticipating the issues, we can again use creativity to get ahead of them, find a solution and ensure the positive impact that’s intended. In order to implement the most effective solutions, leaders must continually challenge themselves to depend in greater degree on the strengths and contributions of others. They must believe in the power of teamwork over individualism. They must realize that the world’s gravest problems will not be solved in siloes. And they must understand that the left side analytical approach to life is not enough anymore—the next bright idea to make a huge impact on society may be just around the corner; however, the only way to get there is the right side of your brain.